Healthy cooking? Yes, please! A lot of people think that healthy food is bland and that you can’t add anything in order to add flavor to what you are cooking, but I have to say I do not agree with this and wanted to share with you a little family recipe that I use for cooking most of my food. There are no preservatives, and all the ingredients are natural ingredients and can be used for many different dishes including many different meats sauces and even beans if you are cooking from scratch, better yet, it saves you time when cooking. So in order to make this “sazon latino” or sofrito, you are going to need some fresh ingredients like cilantro, onions, scallions, celery, garlic, lemon, tomato ( optional), cubanelle peppers ( these are non- spicy peppers also known as the Cuban pepper). All the ingredients can be added to the concoction as desired as there is no specific measurement as of how much of each ingredient to add as it is more of a personal option. 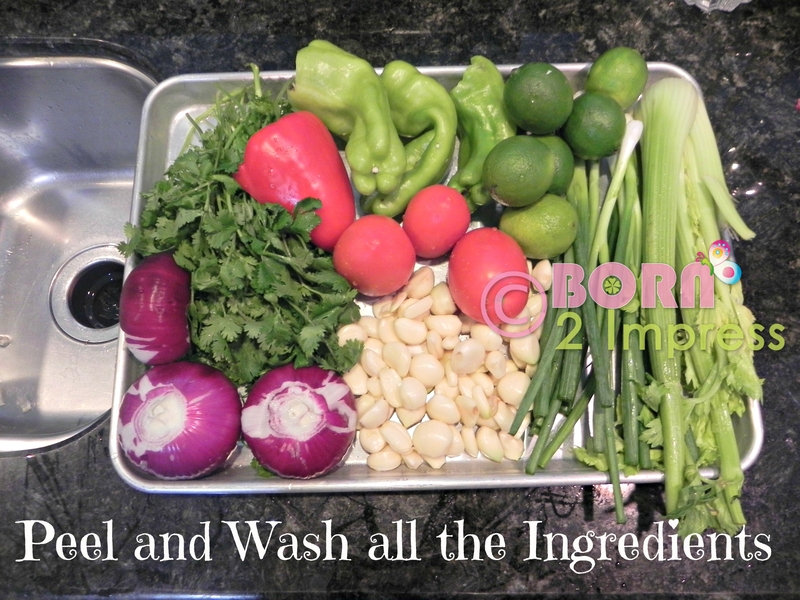 In my particular case I usually use 1 to 1 ½ bunches of cilantro, 2- 3 red onions, as much garlic as you would like, a bunch of scallions, 2-3 lemons or limes, 3-4 Cubanelle peppers, celery ( also optional), 2-3 tomatoes and salt. I usually add very little salt as I can always add salt to whatever I am cooking with the sazon as needed. The amount of ingredients you will use will also depend of how much you want to make. We ( my mom and me), usually make enough for a whole month, so you have an idea of the amount of ingredients I am using and how much sazon I get out of it. 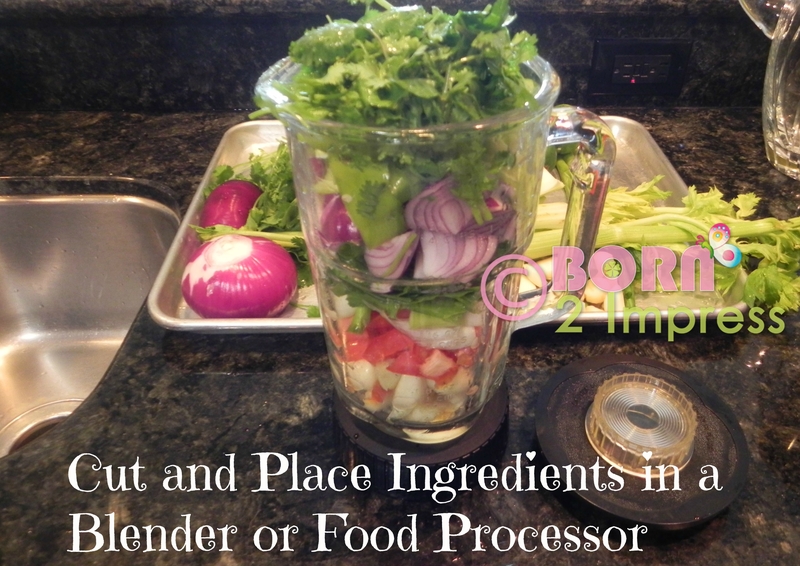 You will put all the ingredients in a food processor or blender depending of what you have on hand, and you can taste as you go and decide if you need to add a little more lemon, or if you would like to add more garlic or whatever the case is. 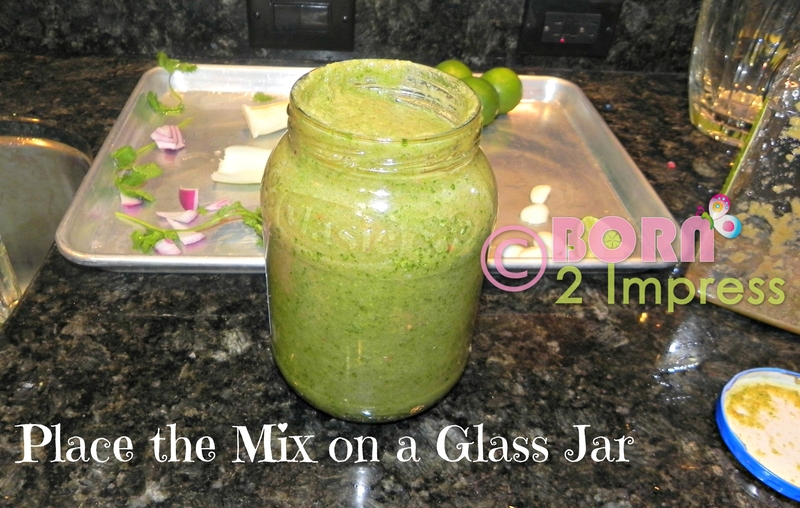 The final result is a green thin paste that kind of looks like pesto and can be used as a base for many dishes. Actually, most Dominican’s use all of these ingredients in their daily cooking. Making the sauces allows you to save time as you will no longer need to chop or do anything to the ingredients as they are ready to use. 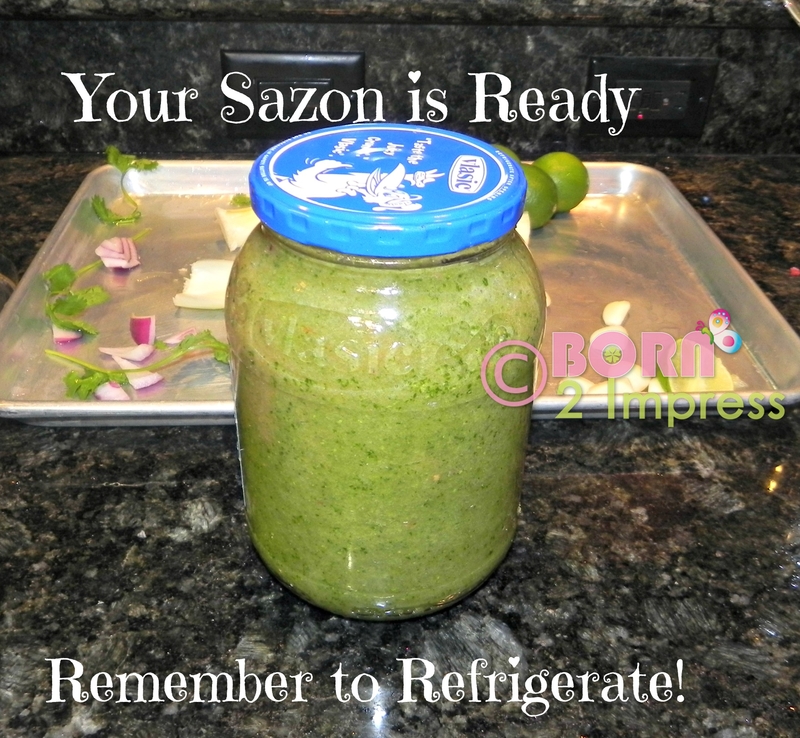 The sazon usually stays good for a few weeks as long as it is refrigerated. The color changes some, but it is still very tasty and all the ingredients are natural so they are healthier for you….As I said there are many different dishes you can make using the sazon and I will share some easy to make and delicious Spanish recipes a bit later …. So keep reading! I love making things with fresh vegetables as well. I’m anxious to try this Sazon as I’ve not had it before but am sure we’d love it. I fix a large quantity when I cook too even though it is just my husband and I at home. Looks delicious. Do your kids like it? It adds a lot of flavor to anything you added it to…And that includes hamburgers! I have never heard of this before but looks good. I like all the ingredients in it. I will have to see what recipes go with this. Do you have recipes that go with this? I have never heard of this before and don’t think I have ever tried it. This would be a good way for my daughter to get a lot of vegetables. Thank you for sharing this. We have had to recently cut out all dairy from our diet and my son is not happy. This would be a great thing to add pizazz to a dish without adding something we’re not supposed to have. I have never heard of this before! What a great idea! I like the idea of trying to make “sazon latino” or sofrito. I like having a little something extra to put into dishes. I like that it’s made of healthy foods. I have to admit I had not heard of this before! But I’ve been looking for new ways to flavor dishes since my Mom’s health problems now mean salt is a no-no. This would be great for that!